Enjoy the current installment of “weekend reading for financial planners” – this week’s edition kicks off with the launch of the CFP Board’s new Center for Financial Planning, which will pursue the laudable goals of attracting more young financial planners to the profession, improving advisor diversity, and lanuching a new academic journal for financial planning research, but in the process is increasingly putting the CFP Board into conflict with the FPA with overlapping membership initiatives. At the same time, the CFP Board also announced this week that for the first time in a long time, the average age of CFP certificants has begun to decline, and dipped below age 50 this year, as the organization’s ongoing efforts to attract young new talent is beginning to show signs of progress. From there, we have a few technical financial planning articles this week, including: the final announcement that Medicare Part B premiums will rise “only” 16% next year for those not eligible for Hold Harmless (albeit with a $3/year surcharge to last the next decade or so); a look from retirement researcher Wade Pfau at how Social Security compares to investment alternatives (particularly if you want to spend down your portfolio while delaying Social Security benefits); an announcement from the Department of Labor to expand state-run IRAs and employer retirement plans (including the potential for automatic enrollment with payroll deduction); the news that next February the NYSE will stop allowing Stop orders and Good-Til-Canceled orders (in acknowledgement that investors are improperly using them as risk management tools when they’re not); and a look at the new Actuarial Guideline 49 that rolled out this fall to limit the “over”projections of indexed universal life policies (and whether the AG49 rules still don’t go far enough to limit overly optimistic policy illustrations). We also have a couple of practice management articles this week, from the importance of hiring an Operations Manager or Chief Operating Officer for your advisory firm if you’re finding yourself at/past capacity (and especially if client service and/or business growth are starting to suffer! ), to a discussion of the pros and cons of trying to hire a “permanent” financial planning associate who is not seeking a career track of personal advancement, and a look at how a typical advisor “Mastermind” or group operates (and how to take the steps of forming your own). We wrap up with three interesting articles: the first explores the research of how we typically judge people (including ourselves) based on how hard the person works and how much time they put in, even though the reality is that the most creative and productive people usually limit how much time they put in (otherwise the brain just gets too tired! ); the second is a look at the new Gino Wickman book “Rocket Fuel” which highlights how the most successful businesses are the ones that pair together a visionary and an “integrator” who is capable to putting the visionary’s ideas into practice; and the last is a great reminder that just as fitness tracking devices like the Fitbit are successful because they take long-term health goals and break them down into daily bites, so too must advisors break their long-term goals down into daily bite-sized activities that can be tracked and measured to help reinforce success (and it’s not a bad idea to try with clients, too!). Is CFP Board Seeding A Future Competing Membership Association With Its New Center For Financial Planning? (Michael Kitces, Nerd’s Eye View) – This week, the CFP Board announced its new Center for Financial Planning, a “virtual” entity being created within the CFP Board to house its initiatives to grow and advance the financial planning profession, from its existing Women’s Initiative and the Financial Planning Competency Handbook, to newly announced programs including a coming gender and racial/ethnic diversity initiative and the launch of a new academic journal for financial planning research. The Center is funded initially with a multi-million-dollar multi-year founding sponsorship from TD Ameritrade, and CFP Board CEO Kevin Keller indicated a goal of raising $10M – $12M in the next 5 years to continue the Center’s growth. Notably, while the CFP Board’s initiative is laudable, raising upwards of $10M for an organization that initially doesn’t even have any staff (for the time being staff functions are being accomplished by existing CFP Board staff) raises the question of whether the CFP Board has a grander vision for the Center… with the potential that it could someday spin off the Center with its multi-million-dollar sponsorship seed to launch a competing membership association to the FPA. In fact, the Center’s vision and growing initiatives are already increasingly competing directly with the FPA, from launching a competing journal to running a competing career center and job board, operating competing diversity initiatives and building competing homes for financial planning academics. Which means ultimately, the new Center for Financial Planning may put even more pressure on the Financial Planning Association to turn around its 15-year decline in market share of CFP certificants and materially grow its membership base, particularly given the looming risk that the Department of Labor’s new fiduciary rule could adversely impact the sponsorship revenue that FPA currently relies upon to operate. “A Great Thing”: Average Age Of CFPs Falls Below 50 (Ann Marsh, Financial Planning) – After a decade of the average age of a CFP certificant continuously creeping higher, the CFP Board is reporting that this year the average age has actually started to turn lower and dipped under 50 (to age 49.9), after having been as high as age 52 just four years ago. The shift appears to be attributable in large part to the CFP Board’s ongoing efforts to cultivate more CFP Board registered programs, including especially undergraduate and graduate school programs for students in their 20s (as opposed to the historically dominant adult education certificate programs for older existing practitioners). Also contributing is the CFP Board’s Public Awareness program in attracting more young people into financial planning, and an influx of younger test takers after the CFP Board shortened the duration of the exam two years ago. As a result, the average age of those earning CFP certification for the first time has also dipped, from age 39 in 2007 to only age 36 in 2015; on the other hand, the fact that the average age of a new CFP is still age 36 indicates there is still more room for improvement in attracting young people to take the CFP exam. In fact, according to CFP Board demographics reports, there are still more CFP certificants in their 70s than in their 20s. Nonetheless, the shift in the direction of the average age for CFP certificants is significant, and suggests that momentum may be building to address the industry’s looming shortage of young talent. It’s Official: Medicare Part B Premiums Will Rise 16% In 2016 For Some Seniors (Ashlea Ebeling, Forbes) – This week, the Centers for Medicare & Medicaid Services made Medicare Part B premiums official for 2016, with those eligible for “Hold Harmless” keeping a flat premium of $104.90/month, and the other 30% of Medicare beneficiaries facing a premium of $121.80/month (a 16% increase, but far less than the 52% originally projected). The mitigated increase stems from a provision of the Bipartisan Budget Act, which reduced the magnitude of the premium increase for 2016, in exchange for a $3/month surcharge that will apply for many years into the future (for those not eligible for Hold Harmless in 2016) to repay the difference. Higher-income individuals, though, will pay significantly more, thanks to the income-related Medicare adjustment amount (IRMAA) that applies for individuals with an AGI above $85,000 (or married couples over $170,000). As a result, premiums for those individuals will be at least $170.50/month, and as high as $389.80/month for individuals with AGI over $214,000 or married couples with AGI in excess of $428,000. Social Security As An “Investment” (Wade Pfau, Retirement Researcher) – While Social Security is classically viewed as a form of longevity insurance hedge, it can also be analyzed as an investment, either by calculating the time-value-of-money-adjusted breakeven age to recover the foregone dollars of delaying, or by analyzing what investment return would be necessary to allow a pool of dollars to replace what Social Security guarantees to pay. Yet viewed from this perspective, Pfau notes that the decision to delay Social Security actually is a rather appealing “investment”. Notably, it wasn’t intended this way originally – the delay on Social Security benefits was designed to be actuarially fair, not to be advantageous to delay. However, that “actuarially fair” calculation was made the last time Social Security was modified, back in 1983; since then, mortality has improved dramatically, while at the same time real interest rates have fallen, and both of those changes make delaying Social Security more appealing now than it was designed to be originally. As a result, spending down retirement assets early to free up the available dollars to delay Social Security is actually a remarkably appealing risk-return tradeoff, even though it means taking more from the portfolio and having a higher withdrawal rate early on (because the withdrawal rate ends out being much lower in the long run once the higher Social Security benefits kick in!). Of course, this does presume that spending is ‘reasonable’ relative to the portfolio size – if investment assets would be entirely depleted waiting from age 62 to 70 for higher Social Security to begin, the strategy clearly doesn’t work. Nonetheless, for those who have the flexibility to do so, the long-term implied rate of return for delaying Social Security is so good that it really can “pay” to spend down the portfolio first! DOL Releases Proposal, Guidance on State-Run Retirement Plans (Melanie Waddell, ThinkAdvisor) – This week, the Department of Labor issued a new Notice of Proposed Rulemaking, along with a supporting Interpretive Bulletine, intended to help guide states about how to develop state-run retirement plans without running afoul of ERISA rules and requirements. These actions are the follow-through from a White House directive earlier this year for the DoL to provide guidance that would make it easier for states to offer their own retirement plan solutions, particularly for the nearly 70 million workers who don’t otherwise have access to an employer retirement plan through work. Of particular note in the proposed rules is a provision that would grant states a safe harbor to offer automatic-enrollment payroll-deduction IRAs for workers, as long as the workers still have a clear way to opt out if they so choose. The DoL guidance also appears to be paving the way for states to offer ERISA-compliant 401(k) plans that small businesses and their workers could participate in, enhancing access to such plans while eliminating the need for employers to offer them directly. The easing of these rules for state-based retirement plans comes as a number of states have been looking to adopt and expand such plans, from Illinois to California running a “Secure Choice Retirement Savings Program” to a similar program in Oregon and one just launched this year in Washington; the clarity on ERISA rules is expected to accelerate state adoption and rollout of new plans from here. Notably, though, some organizations are opposing the DoL effort, including the American Retirement Association (former the American Society of Pension Actuaries), which points out that the DoL rules are allowing states to run large multi-employer plans at the same time the DoL has generally opposed and limited private multi-employer plans, which means the DoL may be giving state-based plans an unfair advantage over private market employer retirement plan solutions. NYSE To Eliminate Stop, Good-Till-Canceled Orders (Christopher Robbins, Financial Advisor) – Effective next February 26th of 2016, the NYSE has declared that it will no longer accept new Stop Loss or Good-Til-Canceled orders placed directly with the exchange, and any existing stop or GTC orders will themselves be cancelled out of the system. The decision to eliminate standing stop loss orders may have been driven by the recent stop market volatility earlier this fall, when a number of ETFs opened and were priced at significant gaps below their intrinsic NAV; investors who had used stop loss (but not stop limit) orders executed at prices significantly below their stop price thresholds due to the gap down in prices. As the NYSE states, eliminating the availability of stop orders is intended to raise awareness around the potential risks of doing so during volatile markets; ultimately, individual brokerage firms may still be able to offer these types of orders to their own customers, but the orders will no longer be available directly from the exchange. New Guideline AG49 Impacts Indexed Universal Life Policy Illustrations (Richard Weber, Society of Financial Services Professionals) – Effective this past September 1st, the National Association of Insurance Commissioners (NAIC) adopted new Actuarial Guideline 49 (AG49), which is intended to limit the return assumptions used in indexed universal life (IUL) policy illustrations. The concern is that IUL policies may have been illustrated at unrealistically high returns (and unsustainably low expense assumptions), and the new rules will require that an IUL policy with a 10% cap be illustrated at no more than a 6.25% return, while policies with a 13% annual cap can be illustrated at 7.25%. However, Weber notes that these adjustments still fail to take into account the volatility of the IUL returns (within the 0%-minimum and 10%- or 13%-cap maximum). Thus, for instance, a recent policy he viewed that had a 13% cap and a ‘moderate’ 6.75% projected return was illustrated as surviving to age 100, but in a Monte Carlo analysis was revealed to actually fail to last a whopping 52% of the time (with a possibly policy lapse occurring as early as age 86!). And even for policies that are now illustrated at lower and ‘somewhat’ more reasonable returns, Weber notes that companies may just shift to projecting unrealistically low expense assumptions, which once again will make the policy illustration look appealing but with a very high risk of coming up short down the road. Overworked And Clients Suffering? Hire A Manager (Kelli Cruz, Financial Planning) – If you’ve reached the point where the decision about whether to serve your clients or grow your business has become a real decision (because you no longer have the time and resources to do both), you are at the crucial crossroads of whether it’s time to hire a professional manager to run the business. More generally, Cruz suggests that it’s a warning sign for any advisor who finds themselves working longer and longer each day but still always feeling like they’re out of hours – it means you’re still trying to do too much yourself. Even worse is if the firm’s growth rate is outright slowing because you’ve hit your own capacity wall and just can’t handle all the clients plus business operational decisions. Though perhaps worst of all is if you’re finding you can no longer manage your employees effectively, especially given how costly turnover can be. So what should you do? Simply put, it’s time to hire someone to help manage the business – for firms with $500k to $1M of revenue this is typically an Operations Manager, while larger firms with $1M+ of revenue often need a full “Chief Operations Officer” who is responsible for overseeing all of the firm’s major functions. So how do you find this key person? One option is for one of the firm’s current owners to drop client-facing roles and take it on, though results are often mixed for most advisory firms. The second option is to promote someone within the firm who is qualified and ready and eager to step up. Though ultimately, Cruz notes that for the largest firms, the best path is often to hire a professional from outside the firm, as internal employees tend to have already evolved into more specialized roles and don’t have the breadth of experience to take on the role for a large and complex firm. Of course, the caveat is that none of these approaches will work until the advisor/owner/founder recognizes the capacity problem, and makes the commitment to hiring someone and ceding some control to that person to resolve the issue! Pros And Cons Of The Permanent Associate (Caleb Brown, New Planner Recruiting) – The ‘traditional’ view of hiring an associate financial planner is to get someone who can proceed down a career track, eventually adding or taking over clients as a lead/senior advisor, and potentially even becoming a successor to the advisory firm business. However, Brown notes that for firms, there’s a preference to hire an associate planner who is expected to “permanently” remain an associate planner, which makes it much easier to manage the individual (no challenging conversations about how to build a career track in a small advisory firm), and is simpler to screen and hire for (as the position tends to be more finite in scope, with a straightforward job description, and clear responsibilities and required strengths). However, Brown cautions that there can be significant challenges for firms seeking to hire a long-term financial planning associate, including the fact that down the road the advisor/owner may regret having much a hire that doesn’t allow the business to scale, keeps all the business development pressure on the advisor/owner, and it can be hard to find a good candidate in today’s talent pool (as the best candidates generally have aspirational goals to advance their careers and won’t be content in a permanent associate position, and the “unambitious” candidates who are left may not have the passion to serve clients well). Ultimately, Brown finds that the best candidates for those position – for firms who do want to go this route – are women in a mid-career stage who may have taken time out of the workforce to raise family, and now want to return and use their existing skillsets but aren’t necessarily looking to grow an entirely new career to a lead advisor position from here. However, be cautious about trying to hire a young Gen Y planner for a permanent associate role, who may have too long of a working career ahead to be content in a permanent associate role indefinitely. Build Your Mastermind Group (Alan Moore, XY Planning Network) – In recent years, it has been increasingly popular for advisors to form “study” or Mastermind groups, which come together to support each other’s career and professional development. In this article, Moore looks at several different advisor Mastermind groups, and how they actually organize and conduct their meetings. Some have an intensive coaching-style approach – FP Hackers, comprised of four advisors, meets weekly for 60 minutes (via Google Hangouts), and the group members each share 3 wins from the prior week, one major loss, one problem they want to solve, and one opportunity they want to focus on, to solicit group feedback. They also meet once a year for an in-person meetup, to go into further depth on a specific topic. Another group, Cracker Jacks, includes half a dozen advisors who are all financial planners in small firms, and are all fathers with young children; they meet the second Friday of each month via Google Hangouts, with a once-per-year in-person meeting as well. Similarly, another group called Moth and Rust is also comprised of advisors who have young children, providing an opportunity to talk about all the challenges that come at the intersection of growing an advisory firm, and also raising a young family, and how to weave their religious faith into their personal and business endeavors. While some groups have a very homogenous mix of members, others deliberately mix it up; Empire Study Group includes four advisors, one technology vendor, and an academic, meeting once a meeting virtually for an hour and a half, with an agenda that is set in advance on a rotating basis amongst the members to set the topic for discussion. For those who want to start their own group, Moore recommends starting out by finding 3 other people who do something similar-but-not-identical to what you do (keeping it small, at least initially, helps initial group cohesiveness), reaching out to them to invite an initial meeting, and starting with a simple initial format where everyone agrees to share a “win” or something they accomplished, and then a challenge they want the group to help with. Nobody Cares How Hard You Work (Oliver Burkeman, 99U) – Psychology research has long observed what’s called the “labor illusion”, that when it comes to judging other people’s work, we might say we’re focused on results, but in reality we want to feel that they wore themselves out. Thus, for instance, someone who does their job very quickly and easily may actually be judged as less capable because it seems like they’re not working hard, even though the reality is that they may be so efficient because they’re especially good at it! And this is not only a problem about how we judge others, it turns out we apply the same standard for ourselves. This effect, sometimes dubbed the “Effort Trap”, means that we may think we did a “great job” because we spent 10 hours plowing through work, when in reality just 2 focused hours plus a leisurely afternoon can actually get more done; in fact, research finds that the most successful creative people rarely spend more than 4-5 hours a day on their primary creative tasks. Which means ultimately, the best outcomes occur not by just trying to work the hardest or longest, but by trying to focus on working on the “right” things that have the most meaning and impact. In fact, the article suggests that structuring your work schedule, or even limiting it, can help improve productivity, because it will force you to prioritize what’s really most important to get done first! But to say the least, the key point is that a long day of tiring work isn’t actually a very good indicator of whether the day was well spent; fortunately, that also means the path to fulfillment might actually take less effort than most people think! 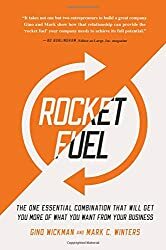 Rocket Fuel: Finding The Best General Manager (Brett Davison, FP Advance) – This article is a review of the book “Rocket Fuel: The One Essential Combination That Will Get You More Of What You Want From Your Business” by famed business consulting author Gino Wickman. The key premise of the book is that the best businesses are created by pairing together “visionaries” (the founders/drivers of the business) with “integrators” (the managers who actually take those ideas to implement and execute the business). Of course, the caveat is that because of the differing personality types between visionaries and integrators, it can also be very challenging for them to work together, so Davison highlights the book’s key rules that must be implemented for the relationship to work: invest time into making sure you’re on the same page (e.g., a monthly off-site “same page meeting” to ensure a united front for the rest of the employee team); do not permit the team to conduct end runs around the integrator (visionaries are often inclined to say “yes” to new ideas, but the visionary undermines the integrator but not sending all team ideas through him/her first); the integrator is the tie-breaker (because the integrator has to follow through and implement the ideas, the integrator gets the final call on what to move forward with, not the visionary); everyone is still an employee in the business, too (so as the visionary, don’t shirk your duties within the business just to be the visionary building it); and maintain mutual respect (as if you can’t truly respect each other, you can’t trust each other, and then it all falls apart). Lessons For Advisors From A Fitbit (Allyson Lewis, Morningstar Advisor) – For those who aren’t familiar, a Fitbit is a watch-like personal fitness tracking device, that can monitor daily activity like the number of steps taken, exercise levels, calories burned, and heart rate, and in turn report on the wearer’s success in achieving their daily fitness/activity goals. Yet as Lewis notes, the power of the Fitbit to help us manage our behavior and improve our physical activity is not only about the continuous tracking and feedback, but the fact that it boils the goals down to something relevant and achievable on a daily basis. For instance, Lewis’ daily goals are to walk 10,000 steps, eat 1,350 calories, complete 30 active minutes of exercise, and drink 64 ounces of water; on the other hand, if these were tracked as annual goals, they would look absurd, as no one feels daily motivation to walk 1,825 miles/year, eat 492,750 calories, complete 10,950 minutes of exercise, or drink 23,360 ounces of water. Yet the reality is that this is exactly how many advisors set their own goals for themselves, with annual targets like “grow revenue by 15% this year” or “add $10M of AUM” or “establish 7 new client relationships”, in a manner that makes it very difficult to keep motivated on a daily basis. Instead, Lewis advocates an approach of boiling down annual goals into essential daily activities – similar to the Fitbit’s daily goals – which she does using a tool called the “7 Minute Life Daily Progress Report“, including targets like the number of current or prospect client calls to make for the day (set a goal for the number of daily contacts you need to make to keep the business moving forward). You can even break it down further to score ongoing activity efforts, such as 1 point for each completed client call, 2 points for a face-to-face appointment, and 3 points for attending a networking event, with a total goal of getting 25 points per day. Ultimately, Lewis notes that the benefit is not only about setting the goals to achieve (broken down into daily bites you can actually achieve) and celebrating when you reach them, but the fact that you now have to track your activity (to monitor your progress) may itself give you new perspective on where you’re spending your time, and how you might spend it better.